The Languedoc region of South-West France offers spectacular scenery with the Pyrenees Mountains tumbling down to the azure Mediterranean. 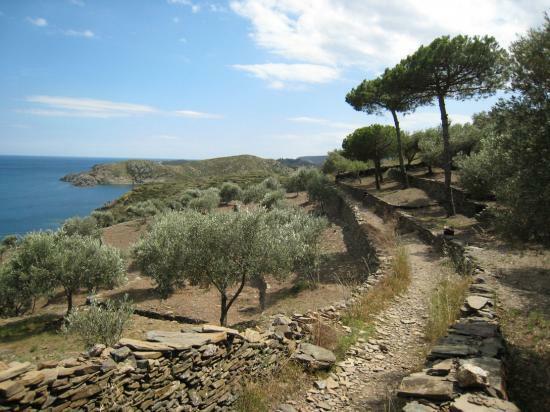 A foot-path provides lovely coastal walking and inland trails lead us to explore vineyards and historic Cathar castles. 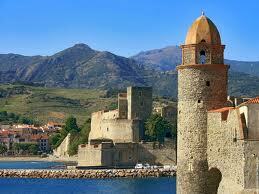 We are based for six nights in the exquisite sea-front town of Collioure. Many famous artists like Picasso and Matisse lived and worked here and today replicas of their works are displayed around the town. Even if you're not an art enthusiast Collioure has much to offer with quaint narrow streets, an imposing castle, pretty beaches and outdoor cafes. The Languedoc's gastronomic heritage rivals any in France so indulging in food and wine is a must. 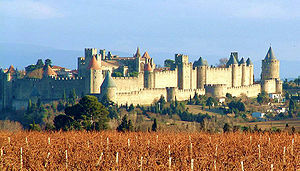 Visiting Carcassonne, a UNESCO World Heritage site. About Walkers' World Languedoc holiday: This is a two-centred week. For six nights we stay in the Mediterranean beach-front town of Collioure and our last night is in the historic city of Toulouse. On one day we cross over the border into the Catalan region of Spain. On our way to Toulouse we stop to stroll along the Canal du Midi and to visit Carcassonne (both are UNESCO World Heritage sites). We have two guides so there will be a choice of easy walking or some that is more challenging. Local professional guides are bilingual and know their history. A variety of restaurants offer a chance to sample regional cuisine. Our private bus allows for a flexible schedule to suit our group. Having two levels of guided walking allows you to choose your pace.